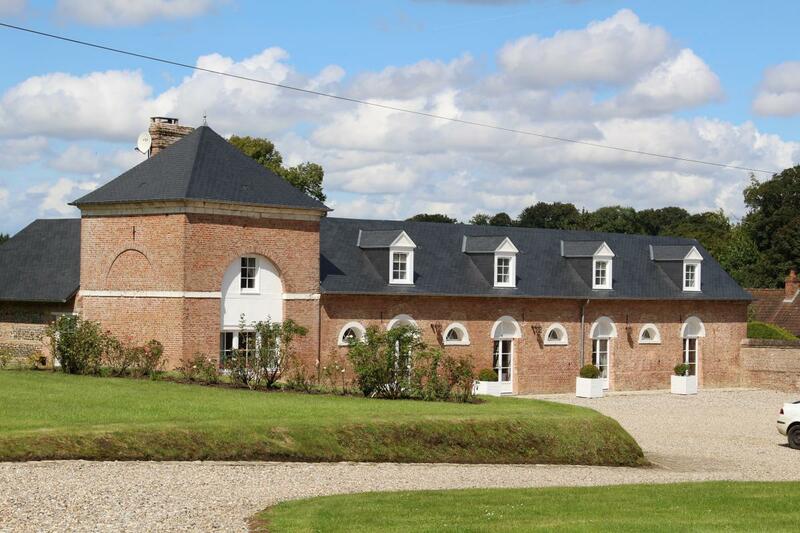 Gîte, ideal for family of 4, in outbuildings of beautifully maintained château. You'll love the modern décor and extra services, such as beds made and towels provided (plus WIFI for Internet addicts). Children will enjoy the grounds (10 hectares, including some woodland) where they can play hide-and-seek and the tennis court. A great outdoor holiday for all! Beach at Le Crotoy just 20 min. away. In château outbuildings, gîte (120 sq.m.) adjoining cottage (Côté Chasse) with which it can communicate, if required. Ground floor: living room/lounge, fitted kitchen, WC. 1st floor: large bedroom (queen-size bed), bathroom/WC, bedroom (2 single beds). Extra bed for child available in master bedroom. Outdoor area, access to 10 hectare property with woodland, tennis court available, swing, garden. Beds made, towels and household linen supplied. Rent includes: cleaning, electric heating. Pet allowed (surcharge: 8€/day).